Among the many great benefits of working at an international school is the opportunity for professional development. I’m lucky to work at a school that provides a generous annual allowance for each teacher to spend on training in his or her area of specialization. My first year at ICS I attended a three-day workshop for IB librarians in South Africa. Being new to IB, that was just what I needed that fall. A bonus was that the session ended just as our October break began, so Andreas and Alekka were able to fly down to Johannesburg to join me for a week-long safari in Kruger Park. Last year I used my PD funds to go with a couple of other teachers to an educational technology conference in Hong Kong – very learn, much fun, such shop. Wow. This year my library colleague Martha and I spent our allowance on the European Council of International Schools’ Librarians’ Conference in Waterloo, Belgium. Climbing the Butte de Literacy… that’s a Waterloo reference. Triennial. Like locusts the librarians swarm in Europe once every three years; Brussels and Waterloo were buzzing. I am sure you can imagine. Seriously, though. It was inspiring to hear all the latest about cataloging, weeding, Extended Essay support in the IB, the maker movement, and all that good library stuff. Martha and I came back to Addis recharged and full of new ideas for our own library. 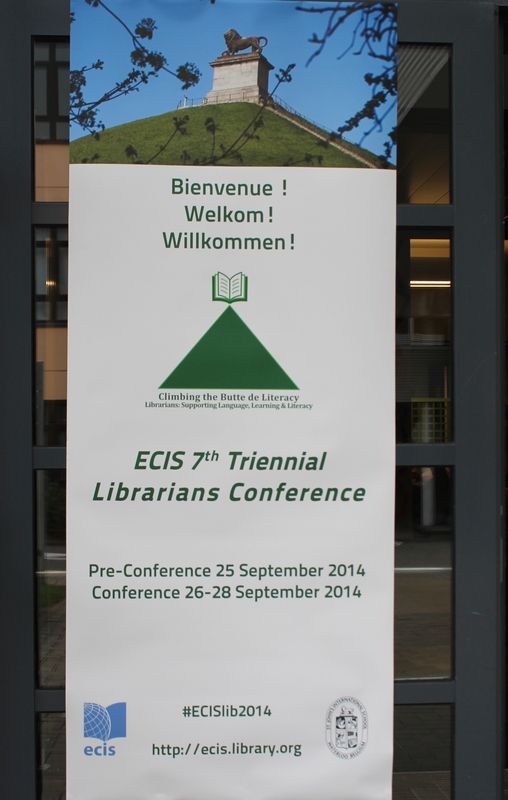 This entry was posted in Elsewhere, Teaching and tagged Belgium, ECIS, Librarians. Bookmark the permalink.